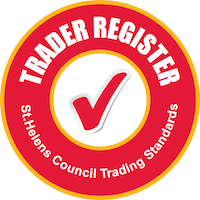 Thank you for your interest in applying to join the St. Helens Council Trader Register. In order to consider your application, please provide us with the requested information about you and your business (* denotes mandatory information that must be completed). Please select the appropriate trade categories for your business, this information will be used to classify traders and allow consumers to search for registered traders both by trade and geographical area.